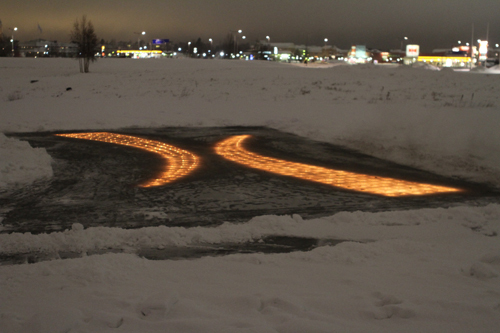 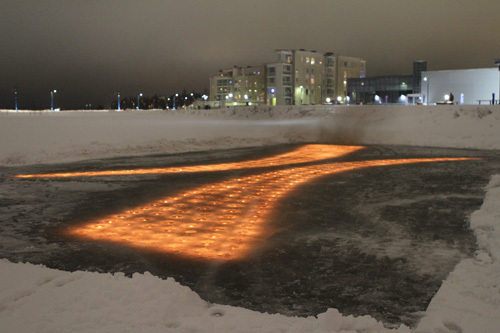 Realization of a lighting installation, on a ice surface, frozen pound, at the border between Tornio ( Finland) and Haparanda (Sweden) for New Year Eve celebration 2012/ 2013. 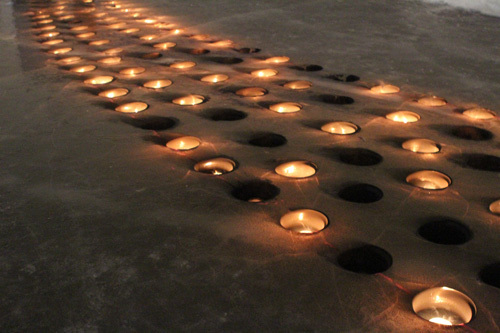 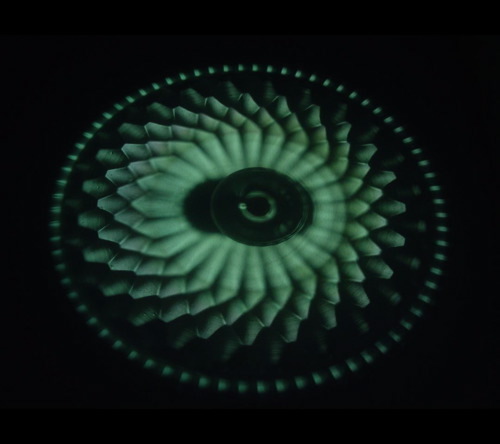 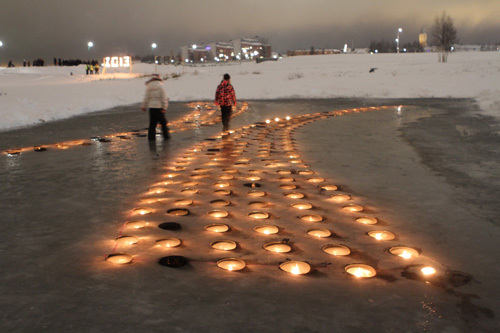 About 400 holes were digged in the ice surface, each containing an outdoor candle. 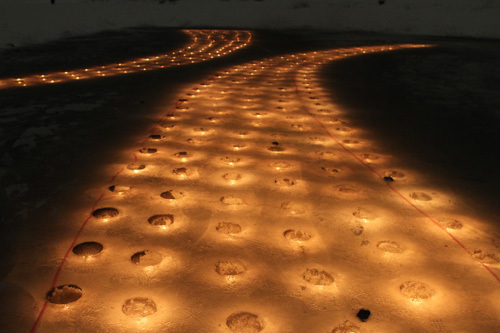 Lighting installation lasted several hours. 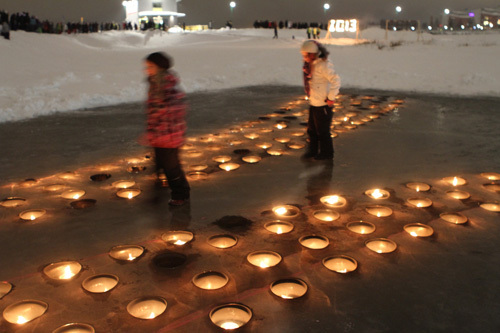 Realization supported by cultural department of Tornio and Haparanda and by commune workers.